Many probably believe that when it comes to retail establishments it’s what’s on the inside that counts. While it’s true that the services and products offered by a business are the keys to its success, the importance of first impressions should not be overlooked. For clothing boutiques, fine dining restaurants, shoe shops, and other types of stores, an attractive and enticing storefront is one of the most effective ways to elicit a favorable initial response. This can mean the difference between a customer entering the business or walking by. Because of its elegance, timeless appeal, and stylish good looks, natural stone is a favorite choice for high-end retail storefronts. With StonePly natural stone cladding, marble, granite, and limestone storefronts can be created quickly and affordably. Why StonePly for Retail Storefronts? At StonePly we strive to provide all clients with the exact stone, finish, and form they need. Large natural stone panels or smaller square or rectangular tiles can be created. Available finishes include polished, honed, and velvet. You can also choose from thousands of natural stone options. We have the ability to source natural stone from all over the world. 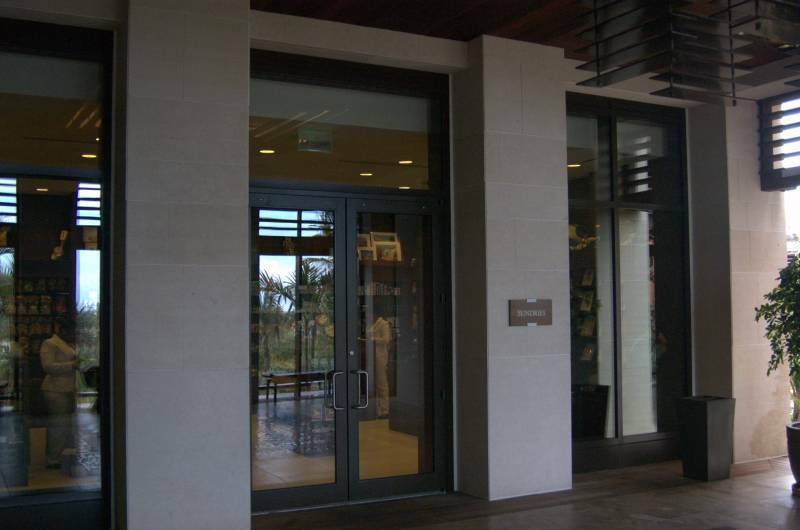 Varieties we’ve used in the past to create natural stone retail storefronts include sleek academy black granite, luxurious travertine, and Indiana limestone. Many different colors of granite as well as onyx, marble, alabaster, slate, and other stone varieties are also available. The StonePly website is an informative resource that will tell you more about our natural stone options, applications for our natural stone cladding panels, and some of our past clients and commissions. We know that you may still have questions about your particular project that you need answered before you can make a final decision, which is why we provide no-charge consultations and estimates to all prospective clients. You can contact us two ways: fill out the short form on the contact page of our site or call us at 903-454-4630.